Are you interested in rhinoplasty? Before you go under the knife for a nose job, you should make sure you've chosen someone with strong surgical skills and a history of happy patients. Here are just five tips for choosing a qualified rhinoplasty surgeon. All plastic surgeons should be certified by the American Society of Plastic Surgeons (ASPS) or the American Association of Plastic Surgeons (AAPS). 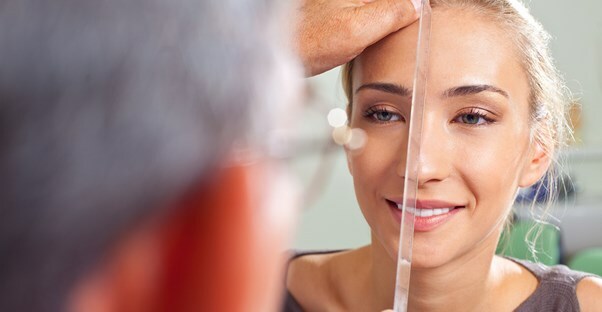 In addition, you might want to look for a rhinoplasty specialist affiliated with the American Board of Facial Plastic and Reconstructive Surgery (ABFPRS). Check with your state's medical board to find out if your chosen surgeon has had any malpractice or disciplinary actions filed against him or her. The medical board will also be able to inform you of any ongoing lawsuits. You want someone completely free of scandal or accusations of negligence. The ideal rhinoplasty surgeon has experience with both endonasal (inside the nose) and external (outside the nose) approaches. Even if you only need a minimally invasive procedure, it's a good idea to choose a surgeon who can handle more in case something should go wrong. All cosmetic surgeons have a "before and after" collection. Don't be afraid to sit down with your surgeon and have him or her walk you through an entire portfolio, pointing out where, how and to what extent the surgeon re-shaped a nose or corrected a misaligned cartilage. He or she should be able to answer all questions and go into as much detail as you'd like. Past clients will give you a more accurate account of a surgeon than almost anyone else. For example, they can let you know if a surgeon is chronically late or rude, or they can reassure you that he or she was patient, friendly and knowledgeable about post-operative healing regimens. Never choose a surgeon without checking references first. These are just five tips for finding a professional and highly qualified rhinoplasty surgeon. You're about to undertake a procedure with highly visible results, so make sure you choose someone you can trust with both your face and your future.